After three days of traveling on the road our group finally reached Simma, a remote village in Sankhuwasabha district of Nepal. Our beaten vehicle and tired driver gave in to the unlit rough road. We had to walk a few hundred meters to reach the first house of Simma. A contrast to the darkness of the night, a bright wide smile welcomed us. It belonged to Sita, a mother of three, with her youngest wrapped in a colourful cloth slung around her body. As soon as we slumped on wooden chairs, Sita gently placed her sleeping baby in a cradle and asked her other daughter to rock it. She then went to the kitchen where her husband had already started the fire and prepared our dinner in between conversations. During our short stay, we learned a lot about village life in Simma from Sita. She taught us the differences in local wine varieties, the common source of income for the people, and the recent incidents in the village, one of which was the passing of a young boy who fell off a cliff and was left untreated due to lack of medical facilities. On our last night in Simma, we asked Sita the question, “when do you feel at peace?” With the light from her firewood stove glowing on her face while breastfeeding her baby, Sita gave us her definition of peace. It was an honest and salient reply. Peace is when my children are not sick. I am at peace when everything is fine in my household, when my friends and family visit me. Any ideas or comments on Sita’s peace perspective? Share your thoughts below. 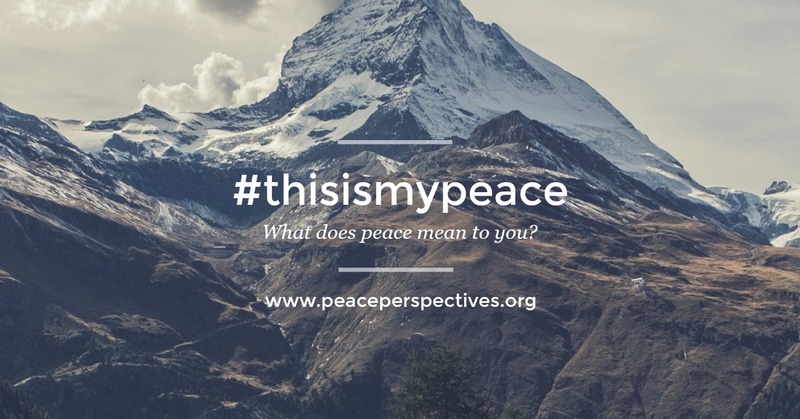 If you want to share your own peace perspective, click here. Peace means no quarrel among people, to have an open heart, to be beautiful from inside not just from outside. After a bowl of “chang”, a local Nepalese rice wine, he showed us around freshly harvested terraced paddy fields. Throughout our conversion, he emphasized how he values a simple life. He also said that despite living simply in a village that is seemingly distant from the politics in the capital, Kathmandu, he understands the causes and consequences of class struggle in Nepal. Any ideas or comments on Suman’s peace perspective? Share your thoughts below. 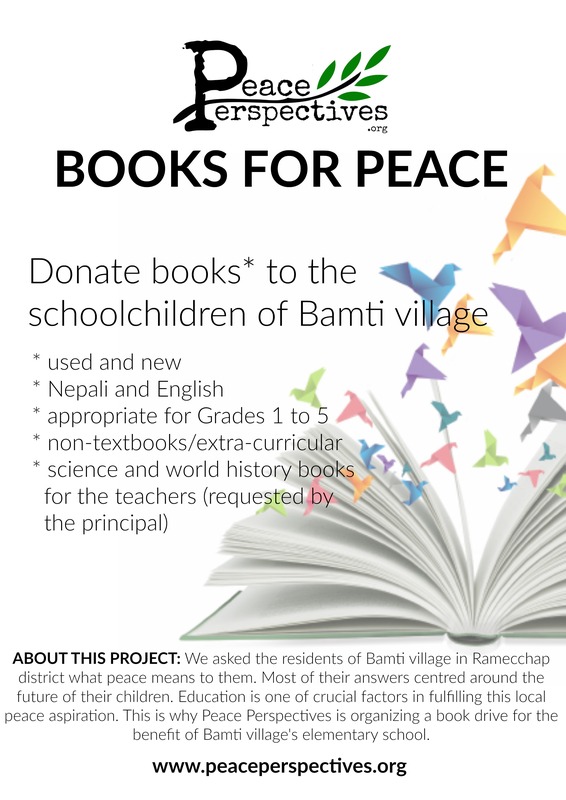 If you want to share your own peace perspective, click here. Local involvement does not always produce favourable outcomes. There are instances when local actors exploit the legitimacy of liberal institutions to advance their political interests or deny the pursuit of justice for the sake of short-term stability. This has happened in Cambodia, Kosovo and Timor-Leste when the decisions of the local elite failed to reflect the local aspirations for justice and reconciliation. The cases of Cambodia, Kosovo and Timor-Leste are examples when local involvement that is exclusive to the political elite failed to resolve the conundrums of transitional justice. In Cambodia, the local elite exploits the legitimacy of liberal institutions of justice to advance their political interests. In Kosovo, local actors from the dominant ethnic group use the institutions of justice as venues for revenge against the Serb minority. In Timor-Leste, the local leadership sidelined the pursuit of justice for the sake of reconciliation with Indonesia. Reference: Dahlia Simangan, “The Pitfalls of Local Involvement: Justice and Reconciliation in Cambodia, Kosovo, and Timor-Leste,” Peacebuilding, online first 4 January 2017, doi:10.1080/21647259.2016.1273489.